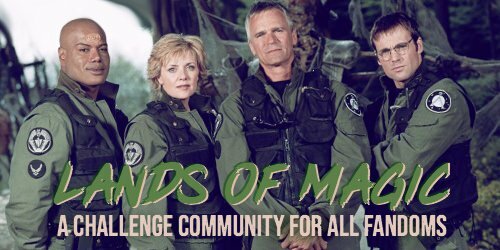 If you like writing fic, making graphics or doing fun fannish things then sign up for Lands of Magic, a challenge community for all fandoms! Welcome to the Sam Carter 100. The community for writing 100 word fics based on the character Sam Carter from Stargate SG1/Atlantis. Every week a challenge will be issued to write a sam drabble. 100 words. Any rating is welcome and you can pair sam up with another character for a ship fic, or write a genfic one. Completely up to you, so long as your drabble is sam related. please post the fic part of the drabble behind a lj cut.